Robert Wishart was the second son of Adam Wyschard, who founded the House of Logie Wishart, having obtained lands in Forfar in 1272 and 1279. He followed his uncle William Wishart into the Church, and became Bishop of Glasgow in 1272, a post he was to hold for 44 years. Robert Wishart was a Privy Councillor of Alexander III and one of six Guardians of Scotland during the interregnum which followed the king's death in 1286. After the English occupation of Scotland under Edward I, Bishop Robert Wishart joined the patriotic party in 1297 and became one of the leading statesmen on the side of William Wallace and Robert Bruce in the war of independence. 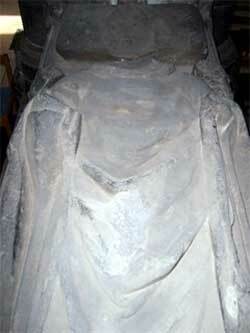 At King Robert's coronation at Scone on 27 March 1306, Bishop Wishart is said to have supplied the robes from his own wardrobe in which King Robert was crowned. Robert Wishart was captured by the English following the battle of Methven in 1306 and imprisoned in irons in Wessex dungeons. But after the Scots won at Bannockburn in 1314, he was exchanged for the Earl of Hertford. By then he was frail and nearly blind, and he died on 26 November 1316. His tomb is in Glasgow Cathedral, and he is commemorated in a window of the north wall of Biggar Kirk in Upper Clydesdale. Robert Wishart belongs to the Wisharts -or Wisehearts- of Pittarrow, Angus, a family of Norman-French origin. 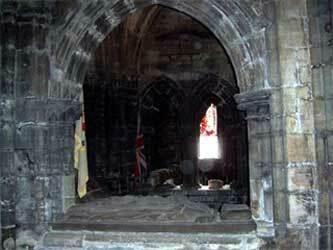 He was either the cousin or nephew of William Wishart, Bishop of St. Andrews, a former Chancellor of Scotland. 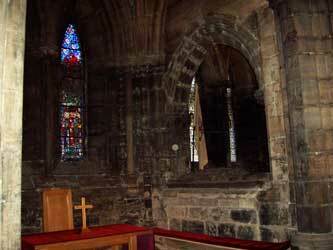 Wishart's first recorded office in the church was as archdeacon of St. Andrews. 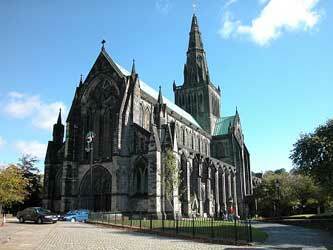 He was appointed Bishop of Glasgow in 1273. As well as a churchman he became a prominent political figure during the reign of Alexander III. After the death of Alexander in 1286 Wishart was one of a panel of six Guardians, appointed to take charge of national affairs for the infant Margaret, Maid of Norway. Although he and his fellow Guardians signed the Treaty of Birgham, which envisaged the future marriage of Margaret to Prince Edward, the eldest son of Edward I, King of England, their agreement was subject to the caveat that the treaty would do nothing to threaten the integrity of the Kingdom of Scotland. 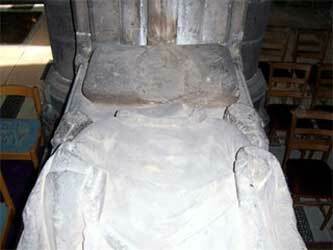 The early death of the Maid in 1290 left no generally recognised heir to the throne of Scotland. With the country threatening to descend into a dynastic war between the supporters of Robert Bruce, 5th Lord of Annandale, the grandfather of the future king, and John Balliol, Wishart was closely involved in all of the diplomatic negotiations with King Edward, invited to adjudicate between the rival claimants. When Edward insisted that he be recognised as Lord Paramount of Scotland prior to giving decision in the matter, Wishart pointed out that 'the kingdom of Scotland is not held in tribute or homage to anyone save God alone.' Edward simply sidesteped these objections; and with no means of settling the question by any internal process, he was duly accepted as Overlord by Guardians and Claimants alike. In the great feudal court held at Berwick-upon-Tweed, Bruce and Balliol were allowed to appoint forty auditors each, with Wishart taking his place in the Bruce camp. He remained consistent in his support even when some of his fellow auditors voted for John Balliol, having the superior claim in feudal law. Even so, as a prominent churchman, he remained at the forefront of public affairs during the reign of King John, and was one of those who ratified the Anglo-Scottish alliance-subsequently to be known as the Auld Alliance-in February 1296. 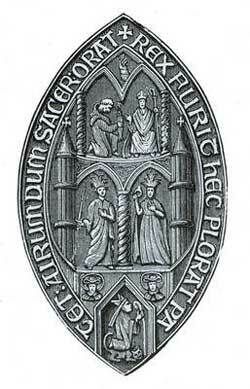 After Edward's conquest of Scotland he swore fealty to the English king, along with the other chief men of the realm. In like manner, as we know, that it is truly written, that evil priests are the cause of the people's ruin, so the ruin of the realm of Scotland had its source within the bosom of her church...for with one consent both those who discharged the office of prelate and those who were preachers, corrupted the ears and minds of the nobles, and commons, by advice and exhortation, both publicly and secretly, strirring them to enmity against the king and nation...declaring falsely that it was more justifiable to attack them than the Saracen. In 1297, even before William Wallace made his appearance, Wishart was among the early leaders of the rising against the English occupation. According to the Lanercost Chronicle it was he, along with James, the High Stewart of Scotland, who prodded Wallace into action. Wishart's first rising came to a premature end in July 1297 when he surrendered to the English at Irvine, but the ball was rolling and would not stop. 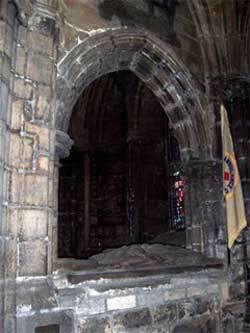 On 10 February 1306 Robert Bruce and a small party of supporters murdered John Comyn, a leading rival, in the Church of the Greyfriars in Dumfries. It was an act of political rebellion: perhaps even more serious, it was an act of supreme sacrilege. He now faced the future as an outlaw and an excommunicate, an enemy of the state and the church. It was to be many years before the Pope was prepared to forgive him; but the support of Wishart and the other Scottish bishops was of inestimable importance at this moment of crisis. 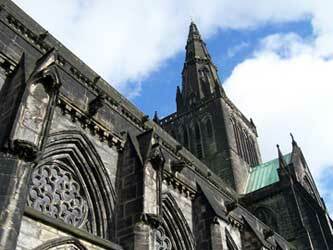 Bruce went to Glasgow, where he met Wishart, in whose diocese the murder had been committed. Rather than excommunicate the miscreant, as church law demanded, Wishart immediately absolved him and urged his flock to rise in his support. He then accompanied Bruce to Scone, the site of Scottish coronations of ages past, and there met his brother bishops of St. Andrews and Moray, as well as other prominent churchmen, in what gives the appearance of a well-arranged plan. Along with a number of prominent lay figures they all witnessed the coronation of King Robert I on 25 March. The country was immediately put on a war footing, with Wishart himself, despite his advancing years, being in the forefront of the preparations. The timber the English had given him to repair the bell tower of Glasgow Cathedral was used for making siege engines, and he took personal charge of the assault on Cupar Castle in Fife, 'like a man of war', as the enemy later complained. All these hopes and efforts were soon frustrated by the advance of an English army under Aymer de Valence in the summer of 1306: Bruce was defeated at the Battle of Methven, soon to be forced into hiding, and Wishart was captured at Cupar. He was taken south in chains, and incarcerated in an English dungeon, saved only from execution by his clerical orders. Edward was delighted with the capture of this 'traitor and rebel', and wrote to the Pope in September telling him that Wishart, along with Lamberton, was being held in close confinement, and that custody of the see of Glasgow had been entrusted to Geoffery de Mowbray. "indisputably one of the great figures in the struggle for Scottish independence, the statesman of the period 1286-91, the patron and friend of Wallace and Bruce, the persistent opponent of Plantagenet pretensions, an unheroic hero of the long war". It was for Robert Wishart's allegiance to Scotland and the Standard of Wallace that the design of the Wishart tartan was based on the ancient Wallace tartan recorded in Vestiarium Scoticum. "The staunch, defiant patriot Robert Wishart, Bishop of Glasgow would buckle on his armor like a baron of the realm to drive out the insufferable Edward I. 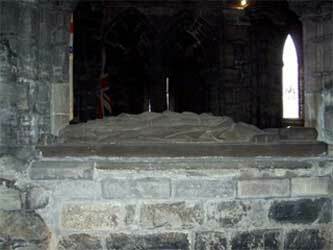 His headless effigy rests in Glasgow Cathedral's lower church, someday soon a plaque should be erected to designate the tomb's noble patriot" but I wouldn't hold my breath!!! When I visited this great Scottish Patriot's Defaced Tomb, I couldn't help but notice the Union Jack nearby....only in Scotland!!! !